Jessica Bryars serves as the assistant manager of nursery operations for the Center for Historic Plants at Monticello, whose mission is to collect, preserve and distribute historic plants. The center strives to promote greater appreciation for the origins and evolution of garden plants. 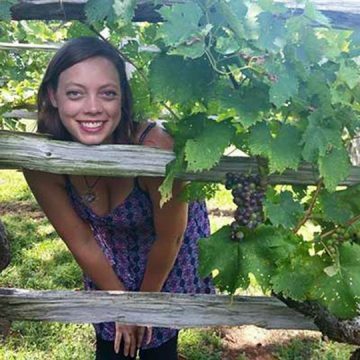 Bryars joined Monticello as the specialty fruit gardener in 2015, managing the historic vineyards, berry squares and orchards at Monticello, as well as the three-acre Pinot Noir vineyard on Montalto. She has a passion for all plants and loves every aspect of gardening. Bryars was born in Mobile, Alabama, and studied horticulture at Auburn University with an emphasis on fruit and vegetable production.